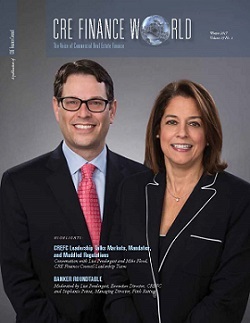 CRE Finance World™ is the semi-annual publication of CRE Finance Council (CREFC), published in full color in winter and summer in both print and digital format. Its mission is to inform, educate and stimulate meaningful discussions and exchanges on the issue and trends of the entire commercial real estate finance industry. CRE Finance World™ enjoys a diverse readership base. 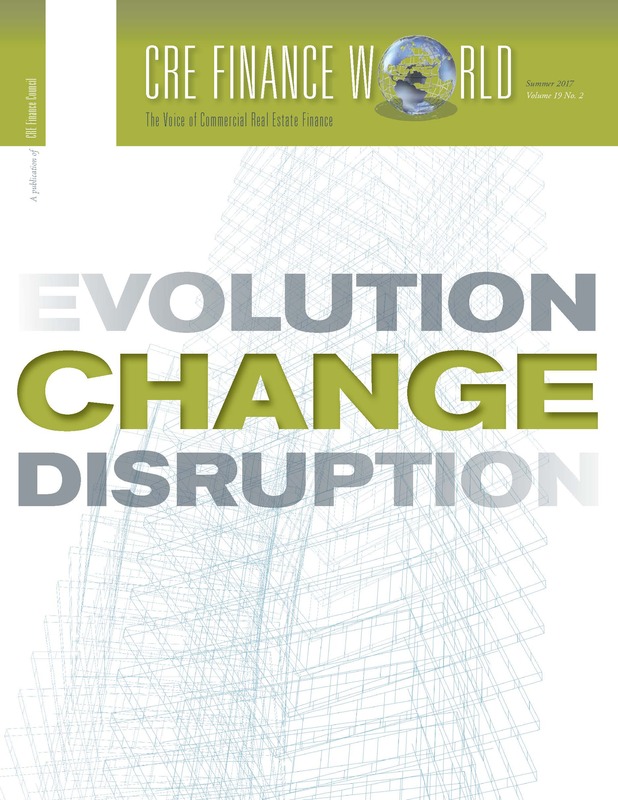 With printed distribution at CREFC’s two major Annual Conferences and our After-Work Seminar series and a digital circulation to more than 5,000 Members and additional subscribers, the magazine reaches the industry's most influential participants. Readers and contributors include balance sheet lenders, CMBS originators, issuers, investors, servicers, trustees, rating analysts, researchers, traders, attorneys and other industry experts. CRE Finance World™ is a trademarked publication of the CRE Finance Council. View the CRE Finance World™ Editorial Board roster. Interested in advertising in an upcoming issue of CRE Finance World™? If you would like to submit an article or place an advertisement, or if you have any questions about CRE Finance World™, please contact Meghan Roberts. More details on purchasing an advertisement in CRE Finance World. 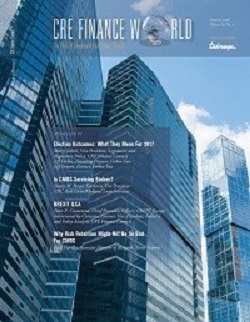 View older editions of CMBS World.